You are currently browsing the archive for the Clean Water/Sanitation category. Rosedanie is currently in Limbé, helping to upgrade the center to serve as an emergency shelter. This summer she attended a seminar hosted by several governmental departments, to talk about contingency plans in case of an earthquake in the north. The center for seismic studies in Colorado has predicted an earthquake for the northern region of Haiti sometime in the next month. There is a great possibility of this quake being followed by a tsunami. News reports cite other sources also predicting an increased chance of local earthquakes. We at Helping Hands Noramise are currently filling gallons with water, stocking dried foods, hygiene and medical supplies in order for us to be able to provide initial aid to the community. Contact us for more information or to find out how you can help. My first week with SOIL has been tiring and exciting. 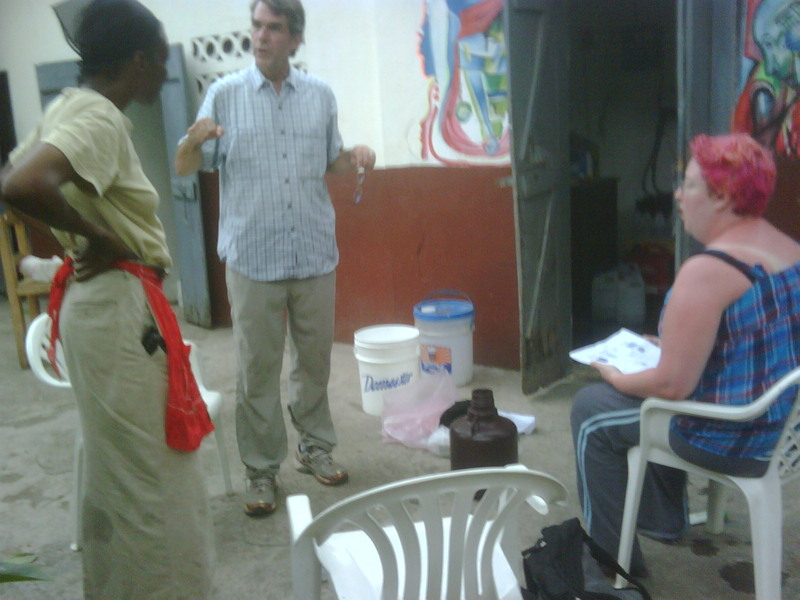 It started with the weekly staff meeting, which was followed by visits to Shadda(a slum of Cap-Haitien), where we have several public toilets in use. Later it was back to the office to meet with our Stanford University partners. We will be installing 150 household Ecosan toilets in Shadda, starting Tuesday. This is part of a three month pilot project. At the end of this period the maintenance,management and removal of the materials will be transferred to 9 local organizations. During the pilot we will monitor usage, cover material efficacy and health conditions in the area. On Thursday, I met with the local OXFAM director who has asked me to help write a proposal for a project to address acute malnutrition in the North. Schools were closed Thursday and Friday in preparation for “Sandy”. Fortunately for us in the north, there were no major damages. 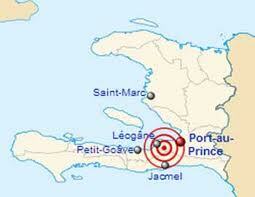 I am currently in Port-au-Prince at our SOIL office to pick up some supplies. Will be heading to Limbe tomorrow to help with post SANDY cleanup at the center. We lost several trees in the backyard and we will also be rebuilding the raised beds. On Tuesday, I will wear two hats and represent both HHN and SOIL at a meeting with the Mayor, MINUSTAH(UN), OXFAM and other organizations, as we plan to celebrate Int’l children’s day (10/20) in Limbe, on November 17th. November 17th is an historical date for Limbe. On that date in 1791, a group of slaves met at Bois-Caiman a crossroads of Limbe, and marched on to Cap-Haitien, thereby begin the fight for our independence. The final victory for independence was fought on November 18th in Vertieres in 1803. Making the first batch of chlorine, for practice!